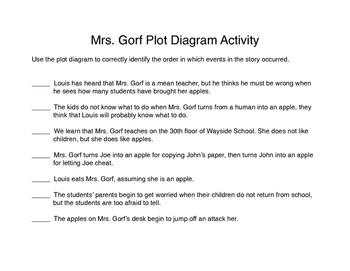 This product contains plot diagram activities for two stories from Louis Sachar's Sideways Stories From Wayside School ("Mrs. Gorf" and "Todd"). 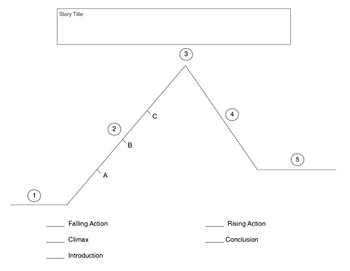 For each story, there are three different plot diagram activities for kids to do, depending on skill level (based on Bloom's Taxonomy). All students will label the plot diagram, others will match plot points, while others will search themselves for plot points within the story. 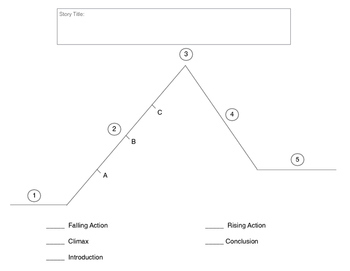 Altogether, there are six different activities (three per story).